So you forgave them. Why does it still hurt so much? Maybe we have been thinking forgiveness is something it’s not. We’ve all heard it. Give it time. It’s only a matter of time. Time will heal. WRONG, WRONG, WRONG! Time isn’t going to fix anything. Time will never take the place of forgiveness. Forgiveness will always be a choice we have to make. 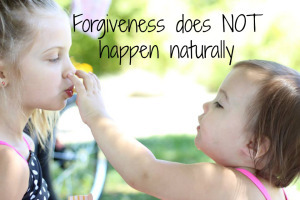 Forgiving is the choice we make to “stop feeling angry or resentful toward (someone) for an offense, flaw, or mistake.” Forgiveness is a choice. Whether we make it today or in 20 years, it will still have to be a choice. Time only lengthens the pain. Time is our biggest enemy. We can choose TODAY to begin healing.